OPTION 1) Anyone that sends a letter to Santa gets on the list. Send your letters to 4593 Wren Dr. SE Caledonia, MI 49316. OPTION 2) You can add people to the list by donating to the reindeer fund. OPTION 3) Write us a review in the iOS / Android / Win 8 App Store! Then e-mail us at NiceList@ReindeerCam.com with the names you would like to add. Please include your User Name in the Subject Line. 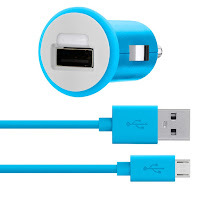 Right now when you buy any 2 Amazon Device Accessories you'll get an additional 20% off when you use the coupon code: BUY2GET20 at checkout. Step 1 – Add at least 2 accessories to your basket and click "Proceed to Checkout". Step 2 – At checkout, enter the code BUY2GET20 into the field "Gift Cards + Promotional Codes". Step 3 – In the box "Order Summary" the text "Promotion Applied" will appear, reducing the price of the applicable accessories by 20%. You'll find cases, chargers, stylus, protective covers and much more. Head over HERE to checkout the deals. Mixbook - Up to 55% Off Photo Books & More! 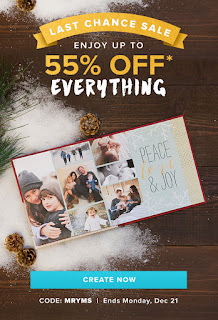 Mixbook is offering Up To 55% Off Cards, Photo Books & Calendars when you enter code MRYMS at checkout. Head over HERE and start designing now! In celebration of Kung Fu Panda 3 coming to theaters on January 29th, Amazon is offering a free copy of the DreamWorks Animation: Kung Fu Panda. – U.S. customers who make an eligible Amazon purchase from 12:00am Friday, December 18, 2015, through 11:59pm on Friday, January 1, 2016, receive a free offer to download Kung Fu Panda, along with a trailer for Kung Fu Panda 3. -Eligible purchases include anything sold or fulfilled by Amazon.com, including, but not limited to: Fire TVs, Fire Tablets, e-books, physical books, digital music, toys, consumer electronics, and anything under the Amazon Video category. -This exclusive offer allows only one free download per Amazon Video account. -For customers wanting to get primed for Po's latest theatrical release, you can also purchase Kung Fu Panda 2 in HD for $4.99 or rent it in HD for just $0.99 during the offer period. View all of the eligible products HERE.